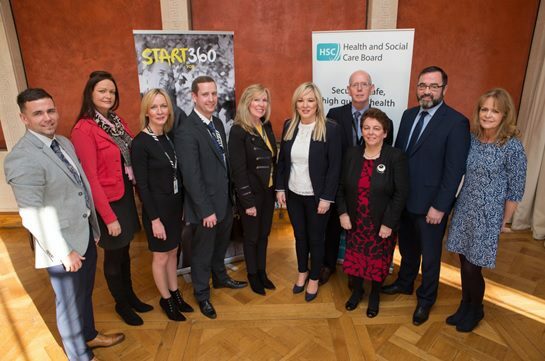 The Department of Health Minister, Michelle O’Neill addressed Health and Social Care providers at a recent Long Gallery showcase of the EITP EDGES Service. The EDGES Service is one of the projects funded through the Early Intervention Transformation Programme. The Programme is funded jointly by five government Departments (Department of Health, Department of Education, Department of Justice, Department for Communities and Department for Employment and Learning), Delivering Social Change and Atlantic Philanthropies. 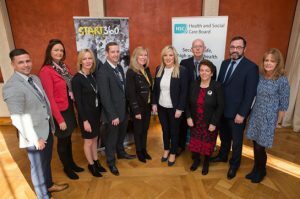 Department of Health leads the implementation of this cross-government initiative.The aim of the service is to provide an evidence informed, specialist ‘earlier intervention’ service for young people primarily between the ages of 12 to 17 years, who are on the ‘edge of care’, custody and or education. This entry was posted in EITP, EITP News, LAC/16+/ Homeless Regional Subgroup, News and tagged eitp_news_events, LAC/16+/Homelessness Regional Sub Group, news/events by Stephanie Thompson. Bookmark the permalink.